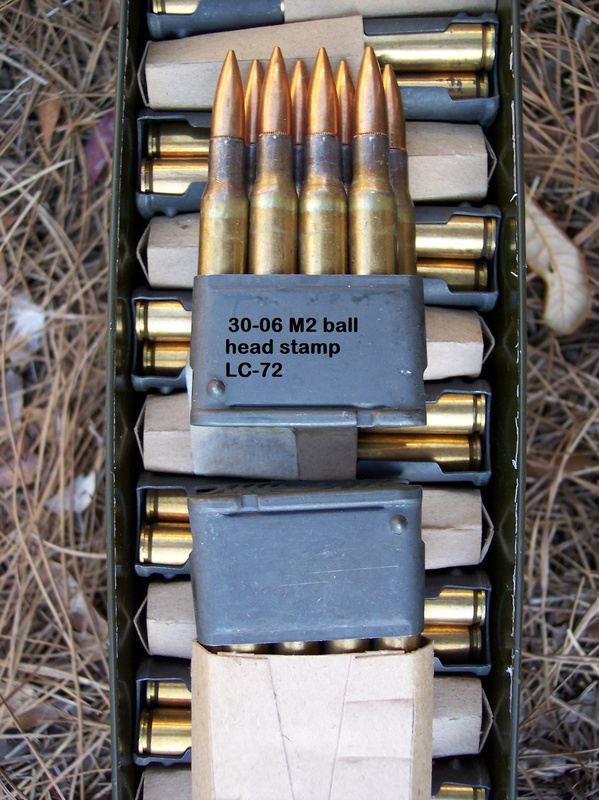 30-06 M2 ball, LC-72 headstamp. US mil spec original ammunition. M1 Garand ammo. Non-corrosive, 150 grain FMJ. Boxer primed, reloadable. Repacked at Lake City factory in 1986. 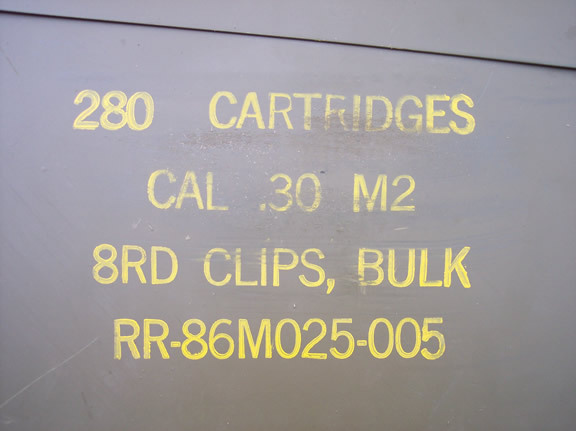 There are 35 M1 Garand clips per can.